Hi guys! We all go to shopping malls, restaurants, complexes,etc. with our friends and family right? Now think of a common thing you do in all the cases ... Yeah! That's right - click a SELFIE. 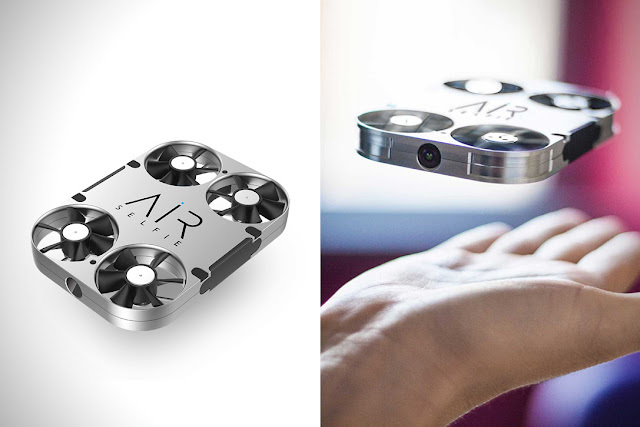 And what we have for you today is AirSelfie ! It was not long before when cameras where discovered. After sometime people realised that they could click pictures from the front camera too and they called it a 'selfie'. Then selfie sticks came. But give your arm a rest now! AirSelfie, a drone that connects with your smartphone to click aerial selfies ... pretty convenient right ?! 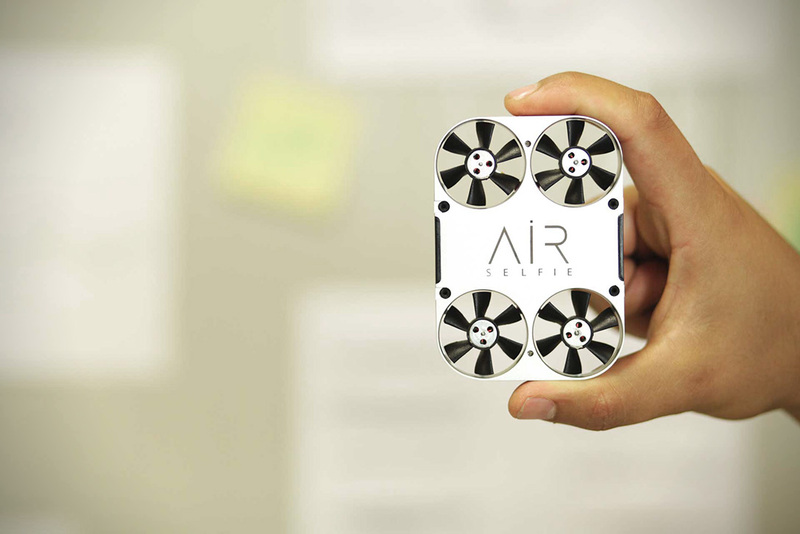 AirSelfie is powered with 4 propellers and a 5 megapixel camera. 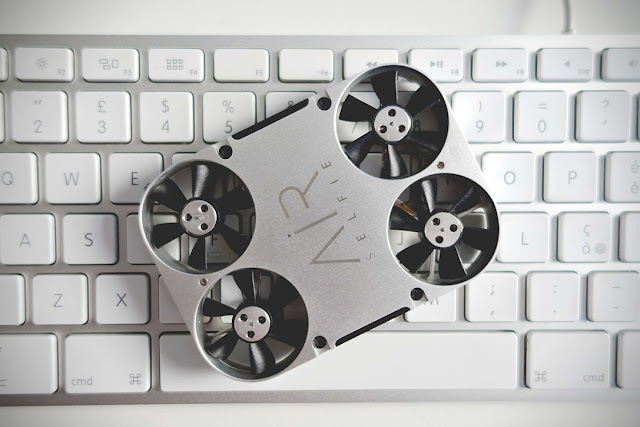 It has a wonderful ability of flying upto 66 metres above ground, allowing the users to snag killer aerial shots of themselves and the world around. This powerful drone includes self generated WiFi and a rechargeable battery too ! It also holds a micro SD card of 4GB but a charge leads to only 3 minutes of flying time ... but don't worry it gets full charged in just 30 mins. We face some problems too while taking selfies. One of the major problems is shaky or blurry photos. I know it irritates a lot. 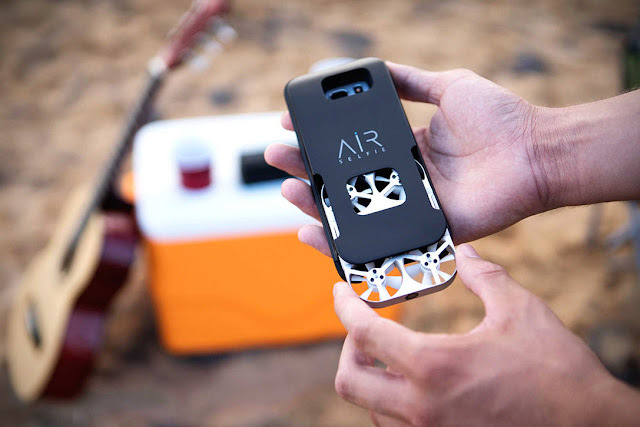 But shaky and blurry photos are now a worry of the past due to the AirSelfie's vibration absorber and in-flight stability system !